Do You Think Your Brand ‘Needs’ PR? I’ve said this many times. I even got a client when I challenged him to give me the budget he spent on one ad page to let me show him I could parlay it into earned media with exponentially more eyeballs. He did. And I did. PR is sometimes hard to quantify, and finding a publicist or PR company that’s a fit for your brand and can share and relay your vision may take some trial & error, but it works. 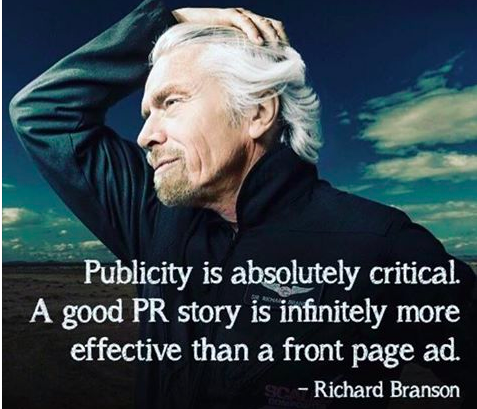 Take it from the brilliant Sir Branson.